Published by mariefester on September 30, 2018 at 9:16 pm under Marie Fester. Published by idilcopur on September 20, 2018 at 1:04 am under Idil Copur. Published by Adi Sneg on June 16, 2018 at 10:32 pm under Adi Sneg. Published by yutingfeng on April 2, 2018 at 8:02 am under Yuting Feng. Published by yutingfeng on January 29, 2018 at 8:30 am under Yuting Feng. For me personally, the perfect study space is in the comfort of my own room, where I’m free to follow my own routine and get up whenever needed without having to worry about leaving my things out on the table, all while not getting distracted by others passing by or loud conversations. I know for many of my friends, however, that it is quite the contrary for them. Unable to stay focused at home, other settings give them the motivation to study and keep on track. 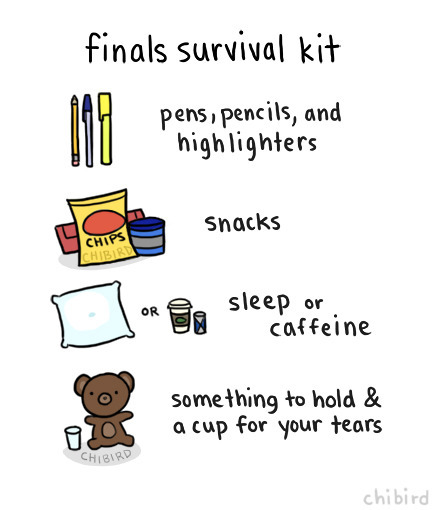 Once you’re in your final year, you know what works best for you, but in the meantime, there are plenty of spaces to go to if you’re in need of a change in environment while you review your notes for that upcoming midterm. Published by morganewauquier on January 28, 2018 at 11:08 pm under Morgane Wauquier. Midterm is coming: what about the semesters in our lives? Published by yutingfeng on September 30, 2017 at 8:30 am under Yuting Feng. Published by saumiaganeshamoorthy on September 25, 2017 at 4:57 pm under Saumia Ganeshamoorthy. As a first-year student, you get a lot of advice on how to manage the start of this new chapter of your life. From student handbooks to online resources, many places offer tips and tricks that you can carry on with you throughout your studies and later in life. Things like ‘don’t procrastinate’, ‘eat well’, and ‘get involved on campus’ often make up part of the list of things you can do to both enjoy your university years and be successful, but there’s more! Published by morganewauquier on September 24, 2017 at 9:47 pm under Morgane Wauquier. The start of a new semester is always filled with excitement, nerves, add-drop season, and the dramatic shift from perpetual procrastination to keeping up with classes. For returning students, it’s an opportunity to see friends we haven’t connected with for a while. For new students, it’s the beginning of new friendships and connections at the university. For new and old alike, it’s a period of time where we join new clubs and organizations, both on-campus and within the Montréal community! Published by kellyma on September 19, 2017 at 9:59 pm under Kelly Ma.